Serpent’s Treasure is your publishing debut novel. How does it feel to now be a published author? It is still surreal. It is not everyday that you hear of an author receiving a contract offer four days after the contract was sent to the first publishing company. I had prepared to hunt out an agent. 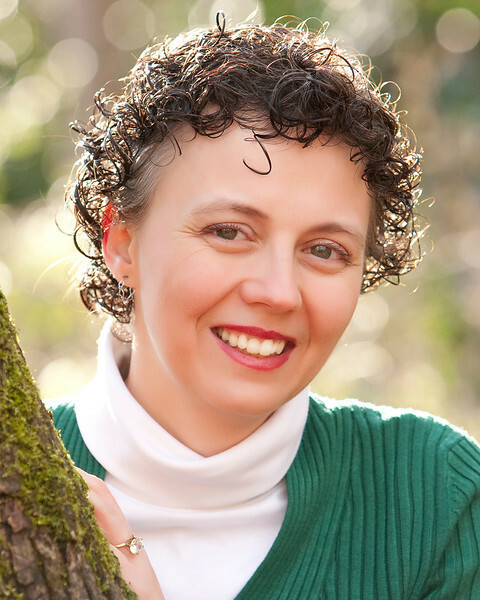 I expected a hundred or two rejections, but when I received the call from the acquisitions editor saying that she couldn't put my manuscript down, I kept thinking, "This is coming from someone who reads thousands of manuscripts a year." Everything regarding this adventure has fallen into place bit by bit. Things have not been perfect on this journey, but compared to what I imagined the publishing expedition would be, it has been simple and conquerable. Perhaps I simply prepared myself to climb mountains, only to find that they were hills. Whatever the reason for the ease of the journey thus far, it is hard for me to believe I am here. When I was young I dreamed that I would be an author, and now I am. Now that is a tough question. It is not like there is any one thing that I patterned the story after. I wrote this novel for me and for my children. If anything, they were my inspiration. When I sat down and wrote that first night, my goal was to see if I could still write an enjoyable chapter. It had three characters and a computer. At the time, I didn't know who the protagonists and antagonists were. However, it was the encouragement and positive feedback that I received from that scene, which propelled me forward. After a few more chapters, the characters revealed more of themselves. Soon, I found it was time to write their histories. Who were they? How did they become what they were? This tied hand in hand with writing out the plot and I suddenly realized that the single, stand-alone novel that I intended to write for myself and my children, would be a six-book series. I'm not certain there is a typical. My writing was confined to Monday through Saturday, sometimes it was only Monday through Friday. I would write from 6:30 am to 9 am, most mornings. Then 9 pm to midnight most evenings. Although, I do remember several evenings that I was up until 2 am and at least once when I wrote until 4 am. When I was in the middle of a scene or chapter that was flowing, I simply couldn't stop. I found it was the characters and the story that woke me in the morning, not my alarm clock. I took a few months off from November to January in 2010-11 because of the holidays and there was so many other commitments at the time that drew me away, but as soon as I could I returned to complete what I had started. It took me exactly one year and two weeks to complete the first draft, including the winter hiatus. I like books and movies where the ending is unpredictable. When I wrote The Ancestral Key, I wanted a book that I would enjoy reading, so the intent is to find the ending entirely unpredictable. You will find as you progress through the series that this will continue to apply. The characters you think you know by the end of Book One will surprise you in Book Two. If you think you know the ending, I promise that you do not. 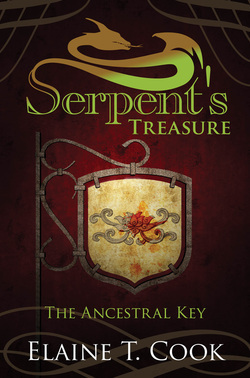 Just as we cannot always predict how friends or family we know will react to certain circumstances, so it is with the characters in Serpent's Treasure. The Ancestral Key is merely the beginning of the adventure, so we have quite a journey still ahead of us. I’m dying to know a little about book two. Give us a glimpse? In Book Two, you will get to know some of the existing characters in a whole new light. My current title planned for Book Two is Leoni Secrets. Unless this is changed in editing, which did happen to Book One's title, it just might give you a small clue. New characters and places will be introduced as you learn more and more about this clan and the secrets that exist within. More twists, turns, and danger await as the original characters form new alliances, travel closer and closer to the heart of the ancient prophecy, and attempt how they see fit to prevent the destruction of their homeland. Where and when are some of your upcoming events, so we can get our books signed? I have held dozens of pre-release events in multiple states over the last three months. Now that the book is officially released, I expect that the number of events will increase. Events, both public and private, are kept current on my website at www.elainetcook.com. If you want an event brought to your area, please contact me or my marketing team via email links on my website. Events are not typically difficult to arrange. We simply need to know is that someone wants an event in their area for the process to begin. Then the coordinating begins.